STUCK FOR INSPIRATION? LONGING TO ESCAPE? Winter in a city getting to you? How about escaping into the wilds of the Highlands? 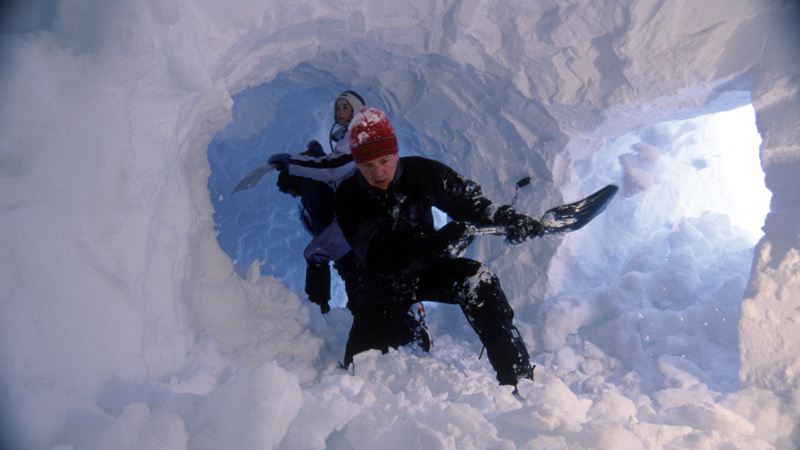 (TRAVPR.COM) UK - December 7th, 2015 - Every year there are reports of people getting lost in the snow and ice. Mountain rescue callouts are predominantly about navigation errors. 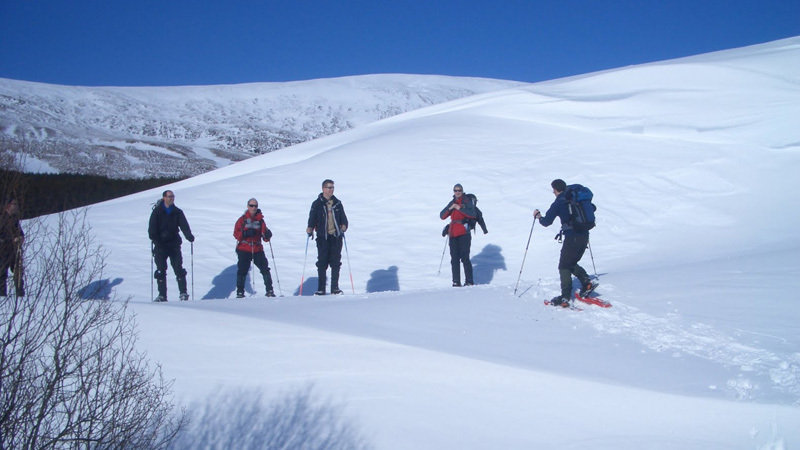 To make winter a safer place, it is a good idea to book a guide to lead or alternatively join a group heading out into the hills. Some groups are organised by companies on commercial trips, others are groups of friends or clubs. Nonetheless there is safety in numbers. 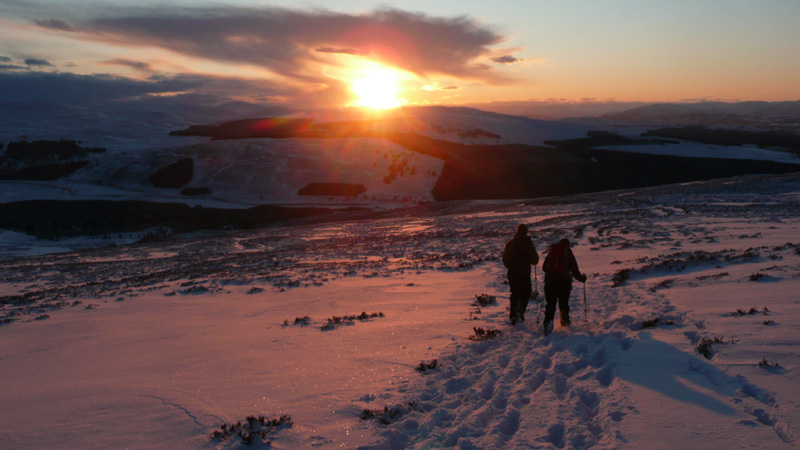 This year there are winter wilderness expeditions running under the guidance of Andy Bateman of Scot Mountain Holidays in the Cairngorms and Glen Affric. There's also usually a trip to Knoydart, home to Britain's most remote pub; however there is a major reforestation project going on there this year which makes it less attractive to visit and all the accommodation will be taken by the forestry workers. Life will be reduced to basics during the expedition and the only concerns will be: eat - sleep - hike (repeat). The perfect way to clear the mind and return feeling completely refreshed after only a few short days. Email: SCO@scotmountainholidays.com for full information about this trip. 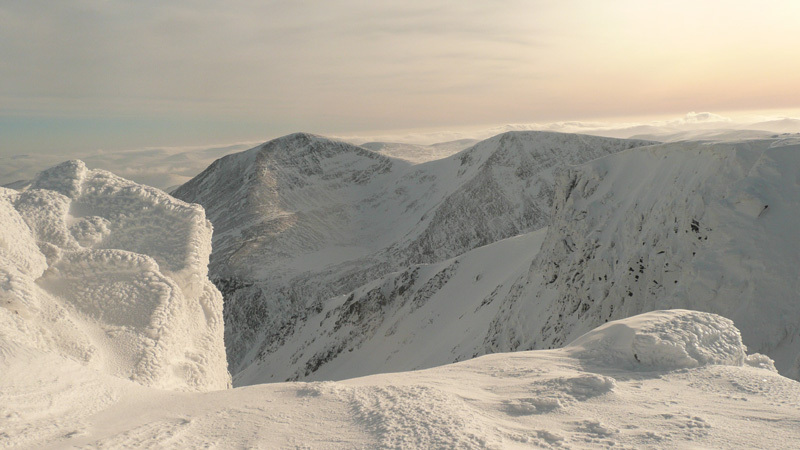 This is Scotland’s ultimate winter mountain journey. The high “plateau” route takes in Britain’s 2nd, 3rd, 4th and 5th highest peaks on a journey that circumnavigates Scotland’s finest and best known mountain pass, the Lairig Ghru. Imagine the soft orange light of a winters dawn gleaming down from the snowy celestial heights. Surrounded by snowy peaks and cradling a mug of tea in the crisp air, a stunning winter’s day beckons. "Porridge with whisky at 9am whilst warm & dry in my sleeping bag has never tasted better!” Ric Taylor, Bristol." Have you ever dreamt of taking a short walk amongst a moonlit snowy wonderland. No need for a torch! Imagine reflected flickering candle light giving way to the soft light of a winters dawn as you emerge from you snowy abode. Not a soul about, a vast pristine winter wonderland all to ourselves. It’s a remarkable experience. All digging and cooking equipment supplied by your hosts, Scot Mountain Holidays. Why book with ScotMountain Holidays? Accommodation is organised and won't be in tents flapping in the wind keeping everyone awake. Toilet and wash facilities will be available without having to "go native" and dig a hole. Cooking will be done by the guide. Food will all be prepared from fresh, local produce to a wide range of recipes including carrot and cardamom soup. No commercial packets for us. All group equipment will be provided. Please feel free to contact Rebecca at Scot Mountain Holidays for any further information or images associated with these expeditions.